We are always on the hunt for creative, delicious, and, of course, easy to share appetizers. We want something that is not only easy to eat and make but can also really catch your eye and tantalize your taste buds. 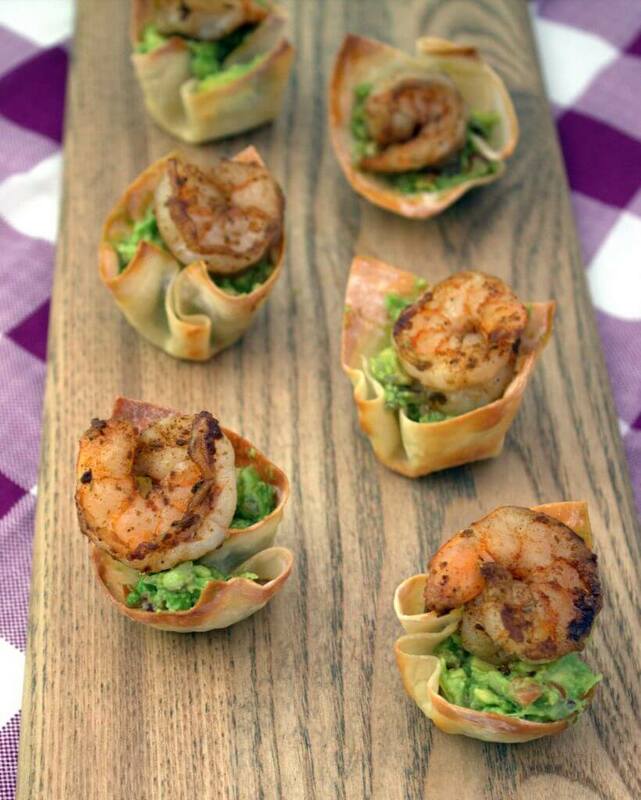 These spicy shrimp guacamole cups are just the thing that really checks all of our boxes. Starting with a crisp cup-shaped baked wonton, we added a generous filling of fresh and bright guacamole. The guacamole helps mellow out the flavor of the spicy shrimp, for those less inclined toward spice, but also is a beautifully bright backdrop for the perfectly pink shrimp. The shrimp are sautéed in a blend of Cajun-style spices that really bring together the whole dish. While no garnish is needed, a hint of green from cilantro or green onions is a welcome addition. The crispy wonton cups allow guests to pick up the appetizer and pop it into their mouths with one hand, resulting in little to no mess left behind. This is what makes them great for cocktail and tea parties. It’s way easier to enjoy your drink with one hand if all the food is easy to consume. 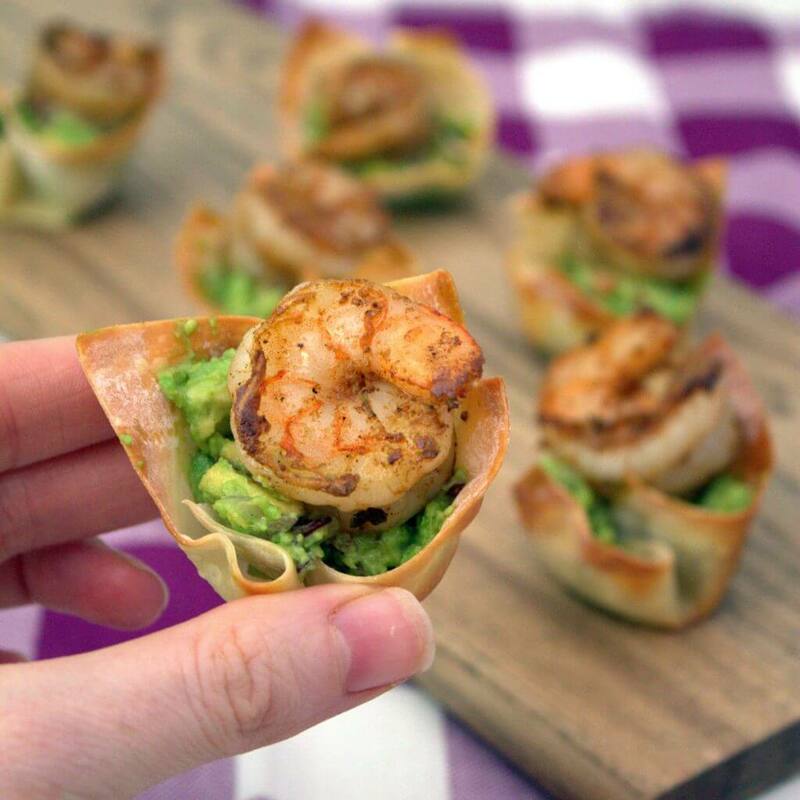 Since these spicy shrimp guacamole cups are perfect for your next summer soiree, try pairing them with an equally summery sweet or fruity cocktail. Our Novel Idea Tea Cocktail, or one of our Arnold Palmer tea cocktails would make great companions. It is a good idea to make the guacamole and assemble the cups just before serving or you run the risk of having the avocado turn brown. Conversely, the wonton cups can be made ahead and stored carefully in an airtight container at room temperature for a day or two. The shrimp can also be prepared ahead and stored in the refrigerator until assembly. Pre heat oven to 350 degrees and spray a mini muffin pan with non-stick cooking spray. Place a wonton wrapper in each muffin tin, gently pressing the wrapper to the sides of the tin. Make sure the center stays open. Place in the oven and bake for about 10-12 minutes or until golden brown. Remove from heat and set aside to cool. In a medium bowl add shrimp, olive oil, cajun seasoning, salt, and pepper and toss to combine. Heat 1 tablespoon of oil in a skillet over medium high heat. Add shrimp to heated skillet and cook for 4 to 5 minutes, flipping once in the middle. When cooked through the shrimp will be firm and pink. Add the salt, lime juice, chopped onion, cilantro, and tomatoes. Stir well to combine. 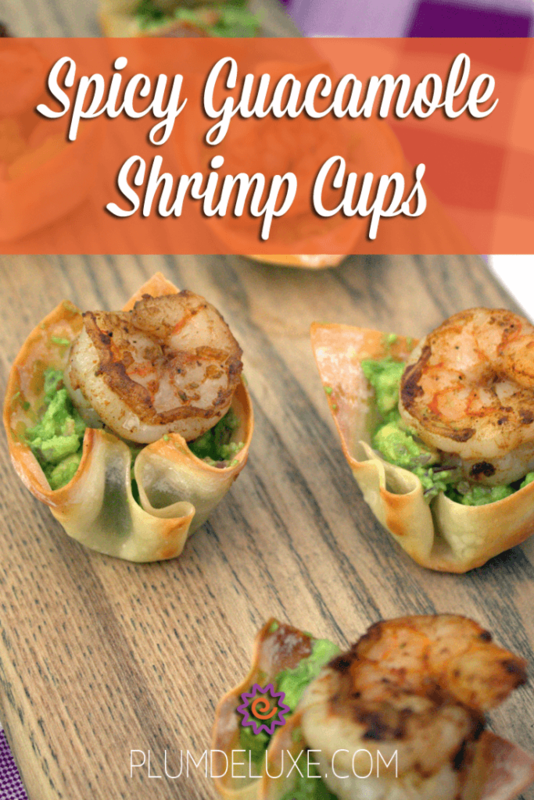 Fill each wonton cup with guacamole and top with 1 shrimp. Garnish and serve immediately.